Yesterday, Princess Benedikte of Denmark, Princess of Sayn-Wittgenstein-Berleburg marked her 71st birthday. To celebrate, let's have a look at some of her sparkling royal gala jewels, shall we? Today marks four years since many of us were up at the crack of dawn, wearing our most festive pajamas and toasting to the royal wedding in London. As William and Kate celebrate -- and anticipate their much-awaited second baby -- here's a roundup of some of our posts on the jewelry from William and Kate's big day! ...and here's a look at my suggestion for gifts for a new royal mother! A Bit of "Spare" Sparkle for Kate? Queen Mathilde often wears a distinctive diamond bracelet with a floral pattern. It's been her choice for some important occasions, notably her husband's inauguration as king in 2013. Even better: by adding a bit of length, it can also be worn as a necklace. The big annual King's Day party wrapped up yesterday in the Netherlands, and lots of the Dutch royals were on hand to participate. Here are some of the jewels (and antics) we saw on display! King's Day is all about fun, so you know that Queen Maxima's in her element! She kicked off the long weekend's festivities on Friday at the King's Day Games in Leiden, wearing a funky pair of dangling earrings. Thus for the name Margaret could be used the milk opal, amethyst, ruby, garnet, agate, rose quartz, emerald, and turquoise. Back in the day, one of the most popular features on Mad Hattery was The Tiarapedia: an index of royal tiaras worn at major events. Get excited: in 2015, I've decided to reintroduce The Tiarapedia as a companion site to The Court Jeweller! I'll be slowly populating the encyclopedic index of tiaras, publishing an entry a day, and updating the entries as time goes on. 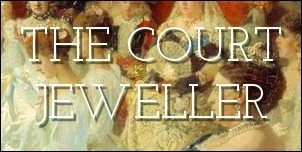 You can follow the site on its own, but I'll also be linking to it daily from The Court Jeweller. Hop on over to tiarapedia.com to view the first entry! At yesterday's services commemorating the sacrifices made by the ANZAC soldiers and other allied troops a hundred years ago in Gallipoli, the Queen wore a brooch that belonged to her mother: the Palm Leaf Brooch. The Queen has been regularly wearing jewels from the Queen Mum's collection at events remembering those who fought and died in the two World Wars, both of which were seminal events in Elizabeth Bowes-Lyon's life. As the world awaits the birth of the newest member of the Cambridge family -- and hopes that the baby will be a princess! -- it seems only appropriate that we talk about a Cambridge tiara, no? After Kate Middleton wore the tiara at her wedding to Prince William, then the newly-minted Duke of Cambridge, the Cartier Halo Tiara will undoubtedly forever be associated with the newest creation of Cambridges. SVT will televise the wedding ceremony. This is great news for royal watchers around the world! SVT aired the weddings of both of Carl Philip's sisters, and they also streamed the ceremonies live online. The footage was not geoblocked, so people around the globe could enjoy the festivities. (To get a glimpse of what an SVT-televised royal wedding looks like, check out the footage from Victoria's wedding embedded above.) The court also announced that TT News Agency will be the official photographers of the wedding. After last week's glittering extravaganza in Denmark, things were a bit quieter on the jewel front this week, but there's still plenty of sparkle to marvel at. Be sure to vote for your favorites in the poll! 10. Queen Letizia of Spain debuted a new bob haircut this week, using it to show off new pearl earrings -- possibly from Tous? -- at a luncheon for the Cervantes Awards honorees on Tuesday. Unless you're living under a royal rock, you're probably aware that the Duchess of Cambridge is due to give birth to her second child any minute now. I'd imagine that William is probably looking for lots of ways to show his wife how much he appreciates her these days, so I thought I'd give him a few bejeweled suggestions for rings fit to honor the birth of a little prince or princess! The good people at VisitCopenhagen wrote me to share the congratulatory birthday video they made for their queen's recent 75th birthday. I thought you'd all enjoy it as well, so I've linked it above. Love the time-lapse crowd footage and the birthday wishes! "Tracing the Jewels of the English Crown"
Curious as it may seem, no record exists of the chief crown jewels now in possession of Their Majesties, King George V and his consort, Queen Mary, and it is heard in authoritative circles that they have caused a book to be compiled on the subject , particularly tracing those jewels known to have had an Indian source. The Koh-i-Noor , which is supposed to have been worn by the Pandus of Hindu mythology, is traceable from the time of Shah Jehan , the Mogul emperor. It was first seen by the French traveler, Tavernier , in 1665, when it was in the possession at Delhi of the Emperor Aurangzeb , and after many vicissitudes, came into the possession of Shah Shuja  who, when expelled from Kabul, carried it away with him. Shah Shuja took refuge at Lahore with the Sikh ruler Ranjit Singh , who, in 1813, "commandeered" the jewel, which subsequently came into the possession of Dhuleep Singh . He kept it until 1849, when the East India Company annexed Lahore, and it presented the jewel to Queen Victoria in 1860. It is, of course, well known how casually the possession of this treasure was regarded by the Lawrences , and the story has often been told how, placed in the trousers pocket of a suit sent to the wash, it was rescued by a native servant who thought it was a piece of glass. Time for another journey back into the mists of royal history, magpies! Today, Queen Elizabeth II of the United Kingdom celebrates her 89th birthday, and in her honor, we're charting the history of her very favorite sparkler: The Girls of Great Britain and Ireland Tiara. December 1891: Princess Mary of Teck, the 24-year-old daughter of a German duke and a British princess, is considered by Queen Victoria to be one of the most suitable matches for her unmarried grandsons. Prince Albert Victor, Duke of Clarence and Avondale, is the eldest son of the Prince of Wales. Although he had wanted to marry Princess Hélène of Orléans, her Catholicism was an obstacle that couldn't be surmounted. Albert Victor dutifully proposes to Mary in December, and the two become officially engaged and plan to marry the following February. While we were focusing our attention on the royal jewels in Denmark this week, another glittering event was taking place in another part of the globe. Prince Abdul Malik, the son of the Sultan of Brunei, married Dayangku Raabi'atul 'Adawiyyah on April 12. And the sparkle was immense. The bride and groom both wore serious diamonds. Here's the diamond and emerald set that the bride wore during the wedding. 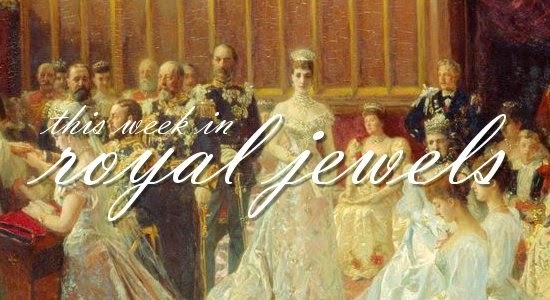 Behold, perhaps the most challenging Top Ten list of all-diamond royal jewels I've compiled yet: the diamond brooch category! There are just so many good ones to choose from, and from all over the world, too. Here's what I finally decided on, but I'm definitely looking forward to hearing about your choices in the comments below! Lots of royal collections include caches of diamond stars, which were extremely popular during the nineteenth century. (See my article on Sisi's popularization of the baubles over here!) I love the way that the Princess of Sayn-Wittgenstein-Berleburg, who was born Princess Benedikte of Denmark, wears her set of stars, scattering them across the necklines of her gowns and jackets, pinning them to her order sashes, and suspending them from necklaces. These brooches apparently once belonged to Queen Victoria of Sweden, Benedikte's great-grandmother; she often pairs them with the pearl and star tiara that belonged to her great-great-grandmother, Queen Sofia. Queen Elizabeth II popped out to Newbury Racecourse on Saturday, and the brooch she pinned to her coat appears to be a new (or at least new-to-us) piece. One of my favorite brooches from the jewelry collection of Queen Elizabeth is undoubtedly the Jardine Star Brooch. Symmetry, diamonds, mystery: this brooch has it all! Here's what Field tells us about the brooch: "In 1981 the Queen was left a late-Victorian diamond star brooch by Lady Jardine, which she has worn on many occasions. It has a collet diamond on a knife-wire between each of its eight points." No information is given regarding the maker of the brooch. Who exactly was Lady Jardine? It's not exactly clear. There's a Clan Jardine in Scotland, though to my knowledge, none of the wives of the baronets of that clan died in 1981. There are also miscellaneous other people in the twentieth century who have Jardine baronetcies, but again, none of their wives appeared to have died in 1981. Did Field make an error on the date? Is Lady Jardine even real? Verdict's out. Her identity remains a bit of a mystery. The Queen's affection for this brooch, however, isn't mysterious at all. She wears the piece very regularly, including at high-profile appearances like holiday church services, Christmas broadcasts, and the aforementioned Diamond Jubilee water pageant. I can't blame her at all: this brooch is absolutely lovely and classic, and the fact that it's an all-diamond piece means that it can be coordinated with a large number of outfits. 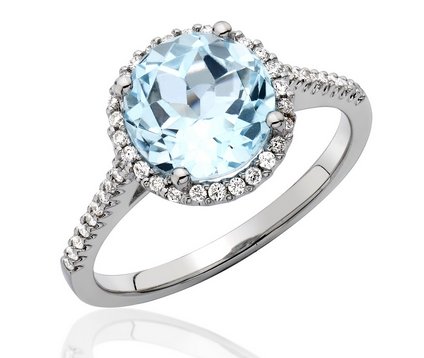 Want more sparkle for your Saturday? Head over to The Duchess Diary to see my chat with Kelly about four of my favorite royal tiaras: the Swedish Cameo, the Danish Rubies, Queen Alexandra's Kokoshnik, and the Dutch Sapphires. Enjoy! All eyes have been on the jewel vaults of Denmark this week, as Queen Margrethe II celebrated her 75th birthday with a series of galas, dinners, and receptions. To wrap up our extensive coverage this week, today we've got a special edition of the Saturday Sparkler series, in which we survey Margrethe's impressive roster of heirloom and modern tiaras. Enjoy! Arguably the grandest tiara in Margrethe's repertoire, the emerald tiara is a part of the Danish crown jewels. It was given to Queen Caroline Amalie as an anniversary present by her husband, King Christian VII. But it's even older than its nineteenth-century creation date: Weisshaupt used emeralds that had belonged Queen Sophie Magdalena and Princess Charlotte, who both lived in Denmark during the eighteenth century. The tiara's "crown jewel" distinction means several things: Margrethe does not own it, but has the right to use it whenever she wants; it can't be taken out of the country; and only queens regnant and consort are allowed to wear it. Margrethe is only the latest in a long line of Danish queens to wear the piece: it's been used by every single Danish queen since it was made. Read more on my favorite royal emeralds over here! The last event of Queen Margrethe's big 75th birthday bash was a black-tie dinner at Fredensborg. No tiaras, unfortunately, but still some interesting jewels on show! The birthday girl flaunted the no-tiara dress code a bit, nestling one of the pieces of her mother's Floral Aigrette Tiara in the back of her hair. The celebrations for Queen Margrethe II of Denmark, who turned 75 on Thursday, continue! Let's rundown the jewels worn to the daytime events on Thursday, shall we? After the traditional "morning wake-up call" to the Queen (at which jewels were largely few and far between), the royals gathered at Amalienborg Palace for a balcony appearance and then traveled to the town hall in Copenhagen for a reception. Margrethe selected one of her most precious pieces of jewelry to wear on her birthday: the diamond daisy brooch that was given to her by her mother, Queen Ingrid. You can read about the brooch's sentimental history -- it honors Margrethe's grandmother, also called Daisy -- over here! The celebration of a milestone birthday for one of Europe's best-loved monarchs, plus a glittering assembly and the surprise appearance of a brand-new tiara? Not a bad way to start off a Thursday! Here's a rundown of the guests who attended Queen Margrethe's birthday gala at Christiansborg Palace. The birthday girl wore a tiara that she's worn at a number of important events in her life: her mother's Floral Aigrette Tiara. She arranged the three parts of the tiara in an interesting configuration: one of the pieces was nestled in her hair just like a normal tiara would be, while the other two were arranged on the sides of her hair. A New Tiara for Queen Letizia! ... but there’s a lot of murkiness around the way this tiara was acquired — which is probably why Letizia held on to the piece for six years before wearing it. This week's journey in the Royal Jewel Time Machine soldiers on, dear readers! This time, we're turning the clock back to 2000, and peeking in on the bejeweled events in celebration of Queen Margrethe's 60th birthday. First up: the gala held at the Royal Theatre in Copenhagen on the Queen's birthday eve. Just as she would do ten years later, Margrethe selected the family's married pearl parure for one of her birthday galas. The set consists of Princess Louise of the Netherlands's tiara and brooch, paired with the earrings and necklace given to Queen Louise of Denmark by the Khedive of Egypt. While we wait for major sparkle this week in Denmark, we're going to look back at the glittering celebrations the nation has held to mark Queen Margrethe's birthday over the past fifteen years. First up: Margrethe's 70th birthday party, held in 2010. Like most of the big birthday celebrations in Denmark, this one had three separate white-tie galas! Here's a look at the first one, held at Christiansborg Palace. Queen Margrethe wore the family's married pearl parure at the first of three gala events, including the Pearl Poiré Tiara. The tiara and the pearl brooch both belonged to Princess Louise of the Netherlands, mother of Queen Lovisa of Sweden. 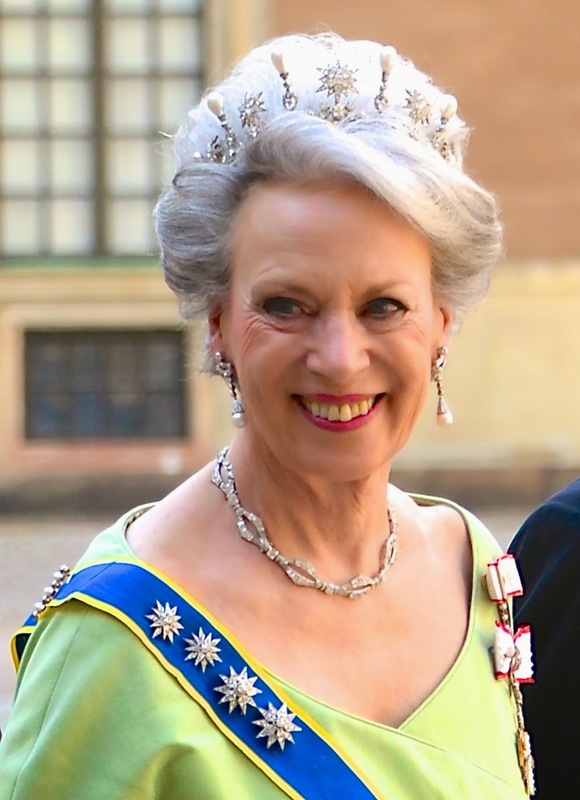 Margrethe is also wearing the necklace and earrings given by the Khedive of Egypt to Lovisa's daughter, Queen Louise of Denmark.